And, with apologies to those who read my earlier piece, I'd like to repurpose and update it significantly. After all, we've had decent sales of the very capable Lumia 535 and 640, plus further perspective on the devices which will and won't a) get offered Windows 10 Mobile, and b) be recommended to accept it. 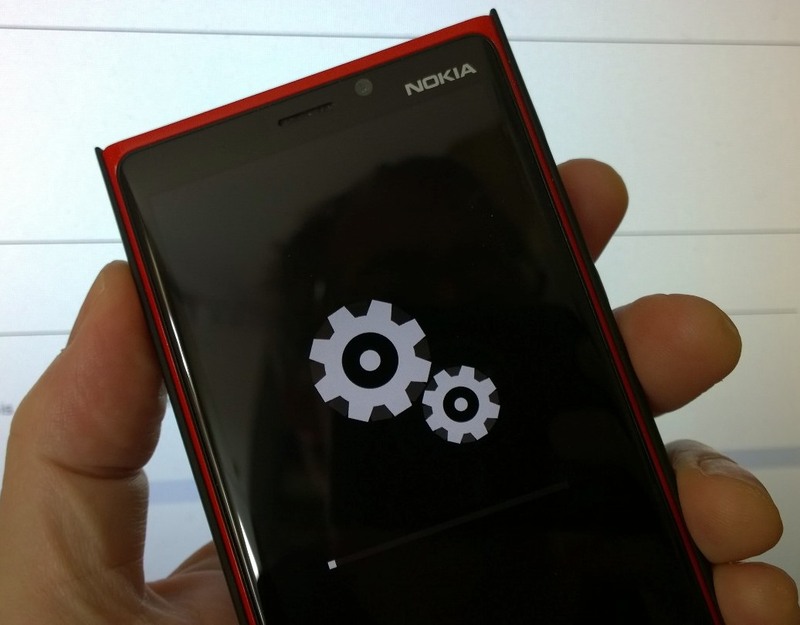 Last July, I tested the (then) current Insiders build of Windows 10 Mobile on three budget Lumias, the 530 (limited 4GB internal disk, impossible to update in place), the 435 (failed, but it should have worked and I've no doubt that a more modern build would fare better) and the ever popular 520 (succeeded, after multiple errors - again, I'm sure this would be smoother these days). 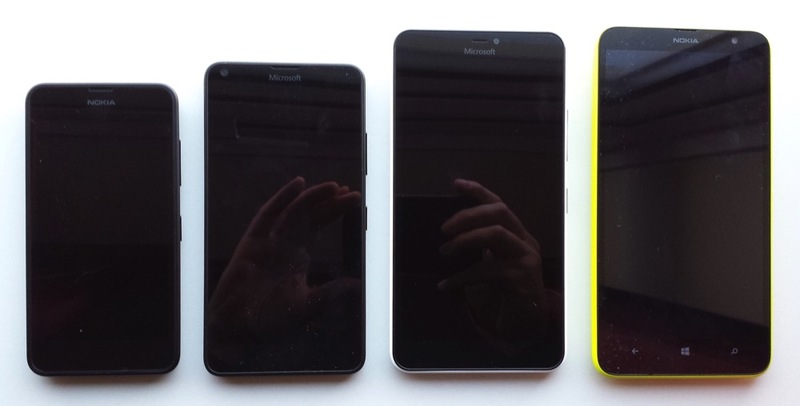 Now, consider the average user of a Lumia 435, 520, 535, 620, 630/635, 640, 640 XL, and so on. In fact, given the large sales of these budget devices, these actually make up the majority of the Windows Phone installed base across the world. Such budget smartphone users have, typically, been battling that internal storage since they bought the phone, constantly being told 'insufficient memory' and having to uninstall one game in order to install the next one. If the user's savvy enough, they'll have bought a microSD and accepted the offer to install new applications (and photos, etc.) on it. But this is the budget end of the market and we're still only talking about 8GB or 16GB cards at most. (And I know someone who bought and inserted a '2GB' card!) The likely position is that, at this end of the market, the average user will still be living with only 1GB or so free on their internal disk. Now, 1GB free is fine for day to day use, especially if there is in fact a microSD inserted and everything's being installed/saved/captured to that. It's all working, at least. But now what happens when Windows 10 Mobile is offered? The user will be faced with problematic messages about needing to clear out space, several Gigabytes worth, and they'll defer the upgrade. And they'll keep on deferring it. How many people do you know that, when you inspect their phones or PCs or tablets, you see a pile of updates that have been waiting to install for days, weeks or months? Regular users just don't play ball in this regard. There's also the word of mouth factor. Once one person has successfully upgraded but reports that lots had to go to free up space, and that the update took hours, and that lots of things have changed, I doubt whether their friends will rush to upgrade. "Windows 10 Mobile is here! refreshed interface and new, more professional applications. keep secure and working smoothly for you for the lifetime of your phone. Companies like AdDuplex regularly report on device shares in the Windows Phone world, putting the fraction of budget devices (sub-7series) at well over 75% and even though I've famously decried these stats as skewed, they're not that far off. Let's assume that the above scenario is typical for the Lumia 4xx/5xx/6xx series crowd and that only a small fraction of these do update to Windows 10 Mobile when asked - the most likely to do so are those with the newer and faster Lumia 640 and 640 XL, which is why Microsoft will offer the update to these first - Windows 10 Mobile will run much more smoothly on the newer Snapdragon 400 series chipsets. Say that Microsoft makes W10M available to half of this 75% and that half of these actually perform the upgrade in the first three months, then we're still only at 0.5*0.5*0.75, or around 19% adoption. Now add in the higher end 7xx/8xx/9xx/1020/1320/1520 devices (making up the remaining 25% of the installed base), with more demanding and probably tech-savvy users. I suspect that the majority of people will accept the upgrade if offered - say 75%. But Microsoft probably won't offer it to all devices - I've already questioned the advisability of upgrading Snapdragon S4-based phones like the 720, 820, 920, 925 and 1020. Say 75% of this device set gets offered the upgrade over the air, we have 0.75*0.75*0.25, or another 12.5% of the overall Windows Phone installed base. Giving a grand total of 31% or so of Windows Phone 8.1 users upgraded to Windows 10 Mobile in the first three months of availability. But consider this more a data point than a note of concern. Most Lumias (and other manufacturers' Windows Phones) were designed around Windows Phone 8.x and they'll work best with this (as I found with the 1020). There really is no pressing need for any particular user to move 'up' to 10. And if a user does feel that pressing need then the chances are that they know enough to be able to handle any resetting/reinstalling. Or indeed are saving up for something higher end in the Windows 'phone' world. Of course, 31% adoption, complete with access to the latest fixes and patches under Windows 10, would still seem like nirvana compared to the current fractured state of Android, the overwhelming market leader in the smartphone world. Worryingly for the latter. In that context, 31% seems pretty good, and higher than I'd estimated back in July last year. What do you think, care to suggest a figure of your own? PS. For anyone who read the article last July, it's sobering to read the bit about "Windows 10 Mobile, when it's released in September". It's now March 2016, i.e. things are running at least five months 'late'. You can argue that Microsoft never announced a definitive schedule, but you'd have to hope that it had reckoned that the mobile SKU of the OS would be done in time for the Lumia 950 launch back in November 2015 - and here we are four months later and still getting firmwares and production builds with major fixes that should have been in place last year.